Our Services offer professional support for all phases of your project: From consultation to maintenance, we will gladly take care of your concerns. At Calvert Irrigation you can choose between a full planning or an individual consultation, between the sensible integration of existing elements or a completely new design. Our work always meets the highest quality requirements, and also includes fresh ideas. Aging sprinkler systems can be frustrating. We are here to offer honest and optimal solutions for those pesky breakdowns in your system. We can help with permit procedures and serve in the role of customer liaison for all irrigation work. Re-doing your landscape? We can help with alterations on your sprinkler system to help water more efficiently. Feel like you are wasting water? Ask about retro-fitting your sprinkler system to reduce waste, and stop watering concrete! 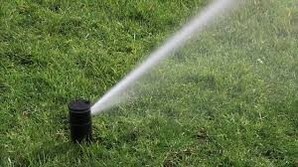 Unsure about when and how long to run your sprinklers? We can run a full system check and offer expert recommendations on watering for our North Texas climate.